You Are Here:→WikiFundi→WikiFundi 2.0 Release! WikiFundi 2.0 was released in November 2018. A beta version was released to the Wikimedia community at Wikimania Cape Town in July 2018. This new, streamlined release included a host of new features and resources that have been built into the pack. The changes were designed to make it easier for those who are interested in using WikiFundi to choose the elements that they require. The release was separated into language areas, updated training and educator guidelines. The larger or “max” releases can host additional education elements, such as fulltext Wikipedia, Wikitionary, Wiki Source, Wikiquote and Wiki Medicine. The “min” or light version has WikiFundi and some additional resources. WikiFundi is designed to be accessed via a Raspberry Pi. If you are technically savvy, the releases are available for download via the links below. If you have a Mac, a handy step-by-step guide is available from this page. While at Wikimania, Florence Devouard presented the WikiFundi poster. 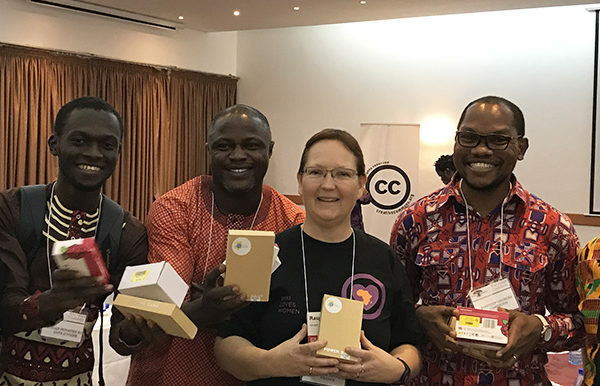 User:Anthere and User:Islahaddow at Wiki In Africa conceptualised, designed and created WikiFundi to support the WikiAfrica movement and Wikimedia volunteers across Africa, and provide an easy-to-use teaching tool for educators across Africa. WikiFundi is an offline editable environment that is a similar experience to editing Wikipedia online. WikiFundi allows for training on, and contribution to, Wikipedia when technology, access and electricity outages fail, are too expensive to contemplate or are not available at all. It uses offline network technology to bridge the experience and knowledge of users so that they can access resources that teach them how to contribute knowledge from Africa to Wikipedia and similar content platforms online. 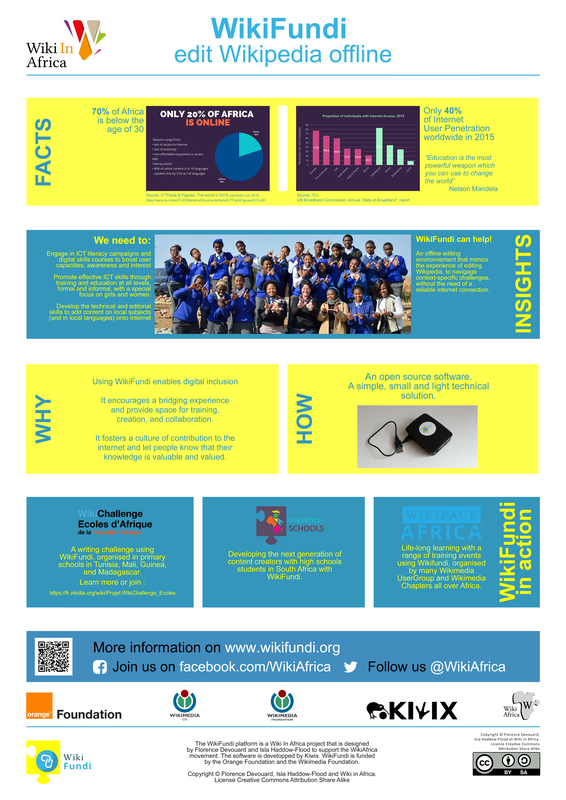 WikiFundi, in its pilot version, is currently used by Wikimedia volunteer groups and school students in 13 countries across Africa. WikiFundi2.0 will extend the successes of WikiFundi to schools and other sectors. This enhancement to WikiFundi has been funded by the Wikimedia Foundation. WikiFundi was initially created in collaboration with Wikimedia CH and was supported by the Orange Foundation. The WikiFundi platform and its documentation is licenced under CC-BY-SA 4.0.